Here are four Wixie ideas to get your primary learners engaged with the books and informational texts they are learning to read. Primary readers are expected to be able to retell key ideas and details from the books they are listening to others read or reading themselves. Since many are emerging as readers and writers, ask them to draw and tell as much as write and type. Students can use Wixie’s paint tools to draw pictures about the texts they have read and then use the recording feature to easily add narration that retells. If you want to encourage your budding writers, have them use Wixie's Text tool to add a box and type sentence to share information. 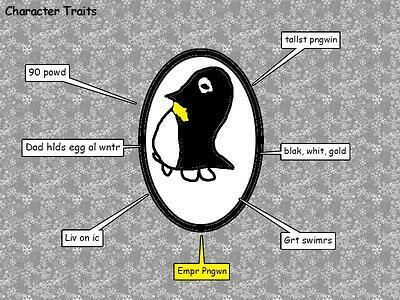 Wixie also includes a Character Traits template that students can open on their own or that you can assign to them. With several text boxes already on the page for students, it is not only an easy technology task, it is a great first step to writing. To build their own character traits cluster, students simply click a box and type words to describe a character in a story or a person or animal they are reading about. They can use Wixie's paint tools or image library to draw or add a picture of the physical characteristics of the subject in the middle of the cluster. Because they allow young learners to "read" a story without knowing all of the words, your students no doubt already have a favorite pattern story, such as It Looked Like Spilt Milk, from Charles G. Shaw. Celebrate your class’s favorite pattern story by making your own classroom adaptation of it! Wixie's Curriculum Library includes several pre-made templates with patterns from titles commonly read in primary grades. 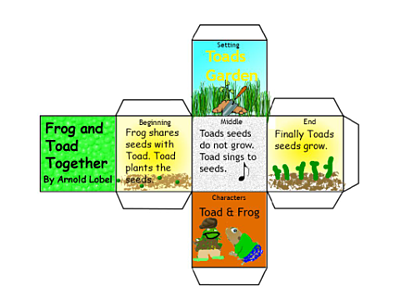 You can also create your own template using a pattern from your favorite title, or even create your own variation that asks students to fill in just a few words and illustrate their own picture. If you and your students love books, spread your joy of reading by helping other readers find great books too! Even emerging readers and writers can state their opinion about the books they read and even supply reasons and evidence to support their opinion (CCSS.ELA-LITERACY.W.1.1). Wixie includes several templates students can use to create their own book reviews. You can even print them at postcard or trading card size to more easily share in your school's library media center. You can also get creative and have older students add review information into the net for a 3D cube. Then print onto card stock, cut, glue, and showcase. Click the links to find additional ideas and lesson plans for connecting students to both fiction and nonfiction texts. We even have a page of samples and ideas specifically for National Book Month. No matter how you celebrate, we hope you enjoy a good book every day this month!